It takes all of us to help salmon return to our watersheds. 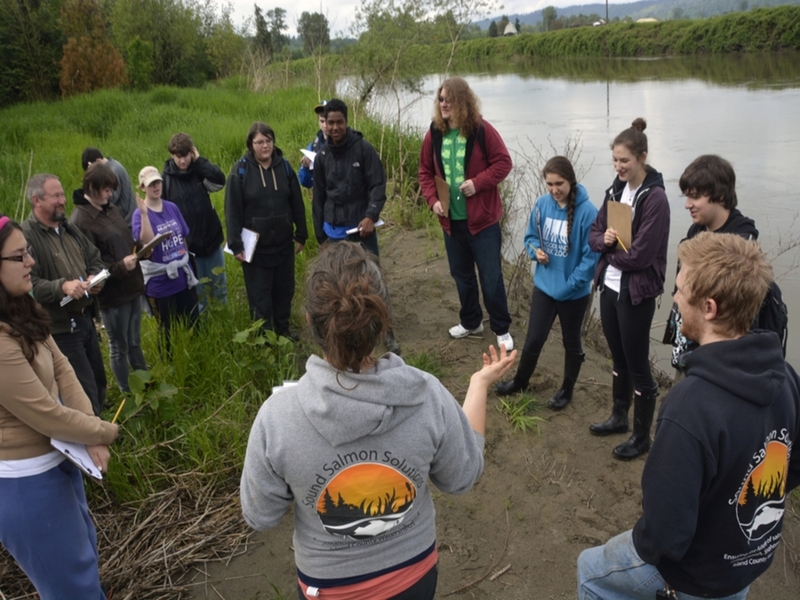 Through interactive education, hands-on stewardship, and state-of-the-art habitat restoration we nurture the relationships between people and our wild spaces to support salmon recovery. Learn about our mission, programs, staff, board, and partners. Explore our habitat restoration, education & engagement, and stewardship programs. Join our family through membership, partnering, volunteering, and employment. Sound Salmon Solutions is proud to be one of 14 Regional Fisheries Enhancement Groups (RFEG) in the state of Washington.